Winter can be a difficult season on your physical and emotional health. The days are shorter, it is cold in most parts of the country, and colds and the flu are more prevalent. During any season there are a few basics that can help to maintain optimal physical and mental health, such as eating healthful foods, drinking lots of water, exercising regularly, and getting enough sleep. However, you may be doing everything “right” and still need a little extra support to get you through those short winter days and long winter nights. 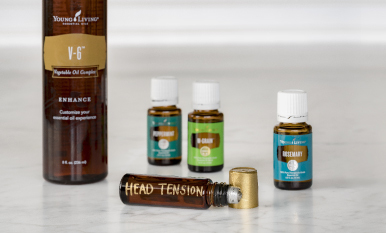 Whether diffusing, applying topically, or taking internally, Young Living essential oils can help you strengthen your physical wellness, improve your emotional balance, and fill your home with safe, purifying products. 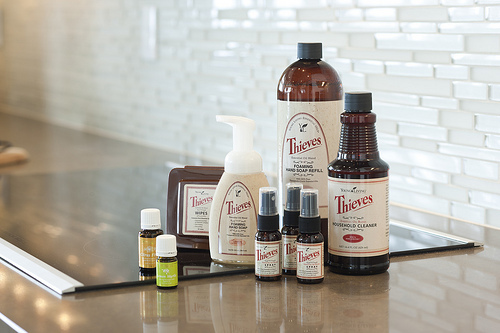 To help control the spread of germs, wash your hands frequently and incorporate the health-supporting power of any of our Thieves® products. 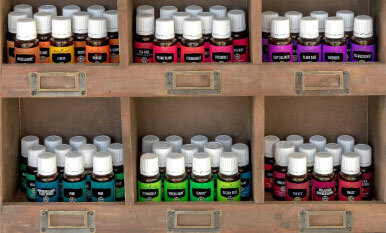 Diffuse Thieves essential oil blend day or night to help purify and humidify the air. Clean household surfaces with Thieves Wipes or Thieves Household Cleaner. If you’re on the go, help sanitize the air with a squirt or two of Thieves Spray. Keep Thieves Waterless Hand Purifier in your car, at your desk, and in your purse or bag for a quick and easy cleansing shot. I frequently use a napkin and a small drop to clean my desktop. Citrus oils such as Citrus Fresh™, Grapefruit, Lemon, Lime, Orange, and Tangerine help support the body’s natural defenses. Plus, the fresh, vibrant citrus scents can also help boost your mood during short winter days. Mountain Savory™ Oil revitalizes and stimulates the body and has strong purifying properties. Clove Oil is an important ingredient in Thieves and helps support the body’s natural response to stress. Oregano Oil is known as a purifying oil. Thyme Oil was traditionally regarded for its cleansing properties. ImmuPower™ Oil is great to diffuse or apply topically to the feet and hands. Purification® Oil deodorizes and neutralizes the air. 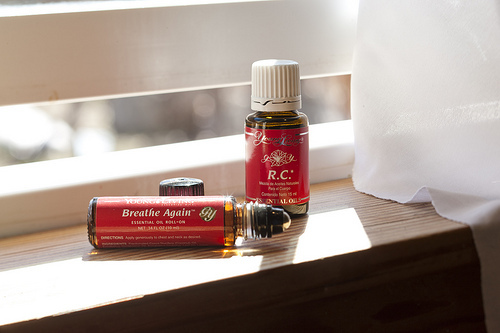 R.C.™ has three varieties of Eucalyptus and is comforting when applied to the chest and throat. Thieves Lozenges deliver the cleansing power of Thieves for long-lasting relief. Breathe Again™ Roll-On Oil creates a soothing aroma. Peppermint Oil eases tension and, along with Myrtle and Pine, supports healthy respiratory function. Take a soothing bath before bed with some Epsom salts and Peace & Calming® or Dream Catcher™ to promote relaxation. Put some water and RutaVaLa™ or Lavender Oil in a spray bottle and spray it on your pillow. Diffuse Harmony™, Valor®, Gentle Baby™, Trauma Life™, Stress Away™, or Angelica Oil to help bring a peaceful night’s slumber. Please leave a comment below to share how you use essential oils to help maintain your health in the winter months.